Class Retake Policy: If at any time you would like to retake any portion of your training, we offer a 12-month retake policy at no additional charge. Retake classes must be requested in writing, must be taken within 12 months of the original class date and will be confirmed on a space-available basis. Students may retake the same class (or part of the class) for any publicly scheduled version of that same class that is already guaranteed to run (meaning there is at least 1 other student scheduled for that class). Retake classes are not available on-demand. After a student requests to retake a class, they will be put on a mailing list and will be alerted to the next available occurrence of that class. If students have any concerns about their training, students should bring those concerns to the attention of their instructor as soon as possible, typically at the lunch break or after the first day of class. We offer a 100% satisfaction guarantee or your money back if you let your instructor know your concerns by the end of the first day of class. All participants should have a basic familiarity with computers and their preferred operating system (Windows or Macintosh). Participants are expected to use a keyboard, mouse, manage files, understand directives regarding the operating system, and basic application functions. It is advised that classes be attended in order (Foundations, followed by Advanced) to maximize understanding the information presented. At the instructor’s discretion, participants may enroll in the advanced class without attending the foundations class; however, instructors are not able to use scheduled class time to fill in knowledge gaps when a student has elected to skip a level of training. Payment in full for all courses must be received at least 5 days prior to course or series start date. If paying by purchase order/invoice, registrant agrees to be personally responsible for payment of all course fees, including those of additional participants. A $25.00 service charge may be deducted from the refunded course fee for cancellations made five or more business days prior to course date. No refund will be given for “No Shows” who do not attend class or do not give a minimum of 5 business days notice of the need to cancel. We realize that last minute deadlines and schedule changes occur. However, if rescheduling within five business days prior to the course date is necessary, a rescheduling fee may be added to your invoice. In the case of circumstances beyond our control (such as serious instructor illness or dangerous weather), classes may be canceled or rescheduled at our discretion. If a class is canceled, we will attempt to find a replacement C2 class for the participant, or, when available, we will offer one-on-one training in lieu of our full class. If the participant is unable to reschedule or class is cancelled, C2 will refund the paid registration fee only. 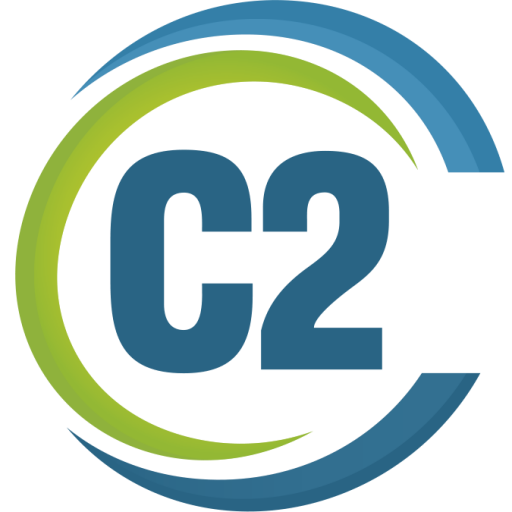 C2 is not liable for any other costs such as travel or other expenses incurred by our clients.